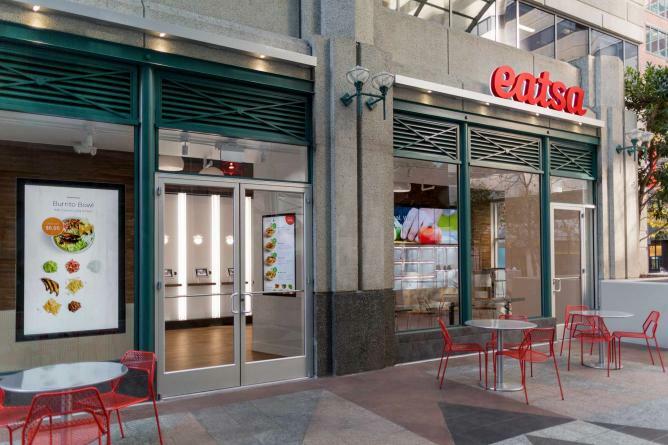 Located in an ultra-contemporary space at the Rincon Center, Eatsa offers its guests a setup of touch-screen kiosks and semi-opaque cubbies lighted on the wall. 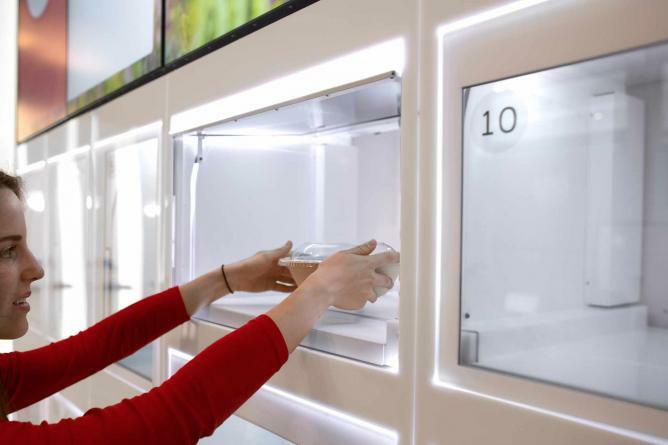 Customers select menu options and pay for meals through the kiosks. Cash is an outdated method of payment at Eatsa. Only debit and credit cards are accepted for payment. After paying, customers’ names are transferred to monitors above the cubbies. When orders are ready, customers’ names are highlighted green, each with a cubby number. Diners collect their meals at the corresponding cubby. Everything is self-service, and there’s almost no human interaction. 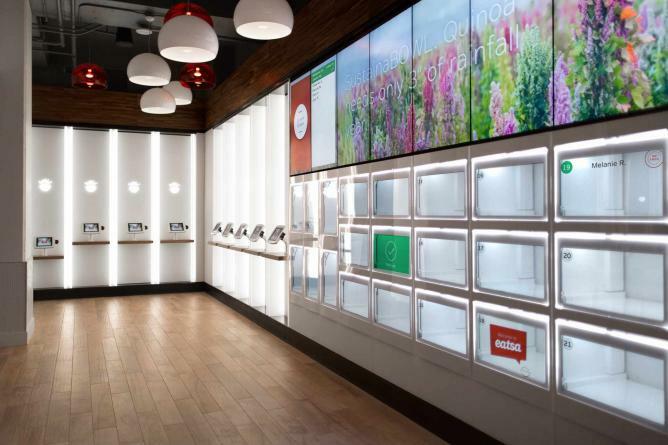 Eatsa uses a rapid automated food delivery process, and humans behind the scenes, to serve customers within minutes. 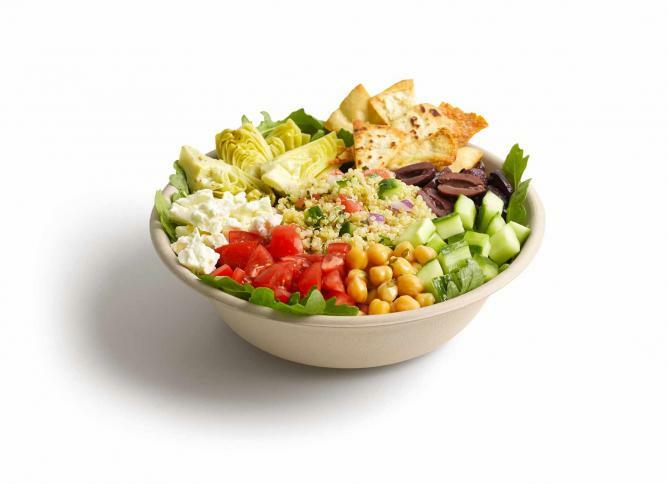 Several vegetarian meal options, sides, and beverages make Eatsa a good choice for any palate. The menu offers eight quinoa bowls with flavors ranging from Japanese-inspired Bento Bowl to The Mediterranean, a Greek-inspired bowl. 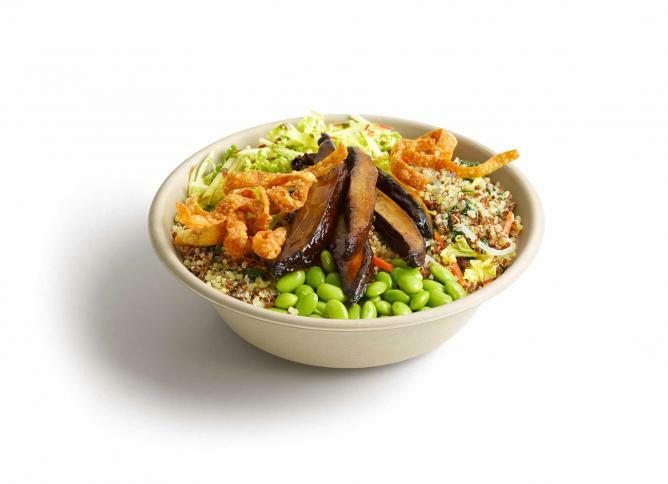 For patrons with specific dietary needs, there’s an option to customize the quinoa bowls. Savory house potato chips and seasonal fresh fruit are the tasty sides, while beverages like Sparkling Citrus and Mango Peach Tea are refreshing and fruity.